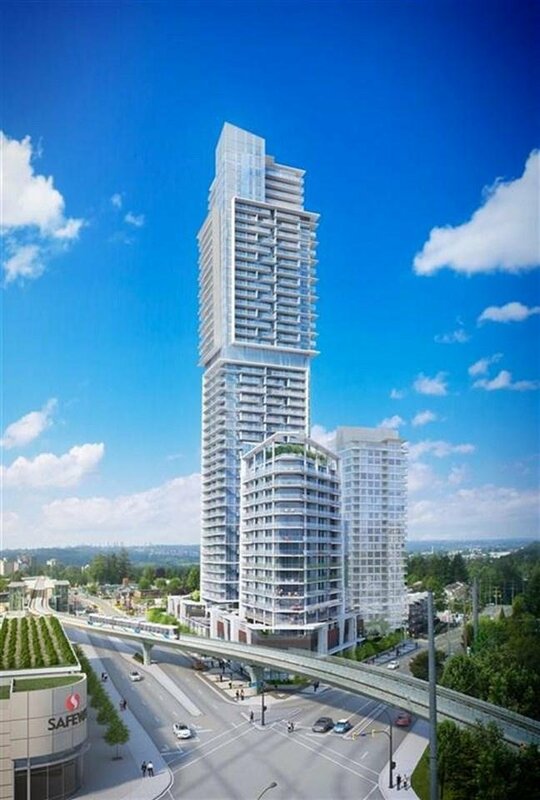 Coquitlam's tallest tower, 1085Sq ft sky home built by marcon. 9' ceiling, floor to ceiling windows to create stunning light and striking panoramic views. Bosch and fisher paykel appliances, large entertaining size of the balcony. Over 20,000 sq ft of indoor and outdoor amenities. Gym on level 28 sky lounge on level 49, concierge, guest Suites. Fully equipped Fitness facilities, Sauna, Sports court, Karaoke Room. Access to the Evergreen Line sky train directly across the street. 2 Parking and 1 Storage Locker. You will be proud to own this property.